When antibiotics became readily available in the 1950s, the danger of life-threatening infectious childhood diseases virtually disappeared. In that era, pediatricians broadened the core professional task of their specialty--the prevention and treatment of such diseases--to incorporate the behavioral and psychosocial problems of children and adolescents. Pediatricians themselves began to refer to this changing emphasis as the "new pediatrics," and to see the trend as a natural progression of their specialty into new areas of care. At the same time there arose widespread disaffection among practicing general pediatricians, defection to other areas of practice, and a decline in the popularity of pediatrics as a specialty choice.In analyzing the emergence of the new pediatrics as a case study within medical sociology, Pawluch shows how professional concerns and interests infl uence debate around social problems. 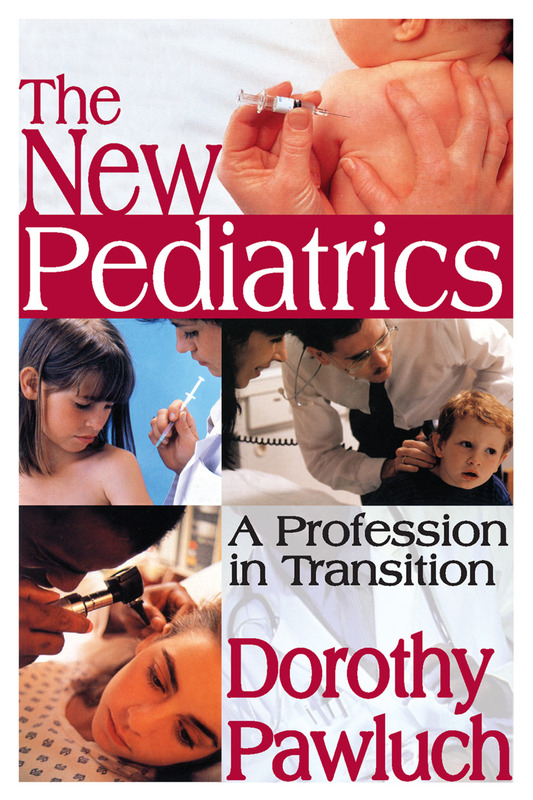 As sociologists began to take greater interest in the problems of childhood, and as children's lives became increasingly medicalized--as some have argued--it is at least in part because of pediatricians' willingness to endorse medical defi nitions for certain social problems and to provide treatment for them.Pawluch's underlying concern is that medical professionals have begun to make claims for authority in the definition of what constitutes the social problems of childhood. Among the topics she examines are the "dissatisfied pediatrician syndrome," the potential for a crisis in oversupply of pediatricians and competing providers of services, the push for expansion into new areas of care, and possible future developments in this specialty.